Relax and unwind in the lovely lake view spa with your exclusive discount! From the eastern bank of Windermere, the dramatic views across the lake to the Western Fells are nothing short of breathtaking. This constantly changing scene serves as a living picture postcard of this most beautiful countryside, an eloquent backdrop to the captivating charm that is the Beech Hill Hotel & Spa. 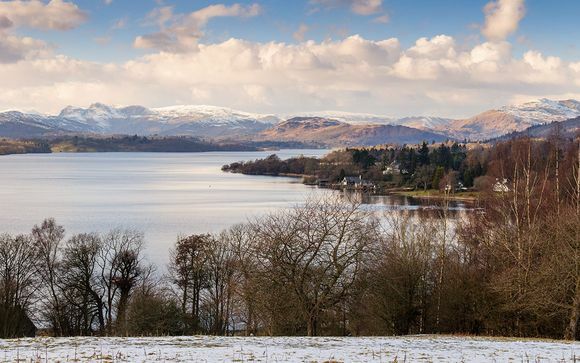 Stretching for 10.5 miles between Ambleside and Newby Bridge, Windermere isn't just the queen of Lake District lakes – it's also the largest body of water anywhere in England, closer in stature to a Scottish loch. It's been a centre for tourism since the first trains chugged into town in 1847 and it's still one of the national park's most popular spots. The marvellous Mason's Arms (6 miles) is a local secret. The rafters, flagstones and cast-iron range haven't changed in centuries, and the patio has to-die-for views across fields and fells. The World of Beatrix Potter (3 miles) is a themed attraction that brings to life various scenes from Beatrix Potter's books, including Peter Rabbit's garden, Mr McGregor's greenhouse, Mrs Tiggywinkle's kitchen and Jemima Puddle-Duck's glade (there's even a themed tearoom). Blackwell House (2 miles) is a glorious example of the 19th-century Arts and Crafts movement, which championed handmade goods and craftsmanship over the mass-produced mentality of the Industrial Revolution. 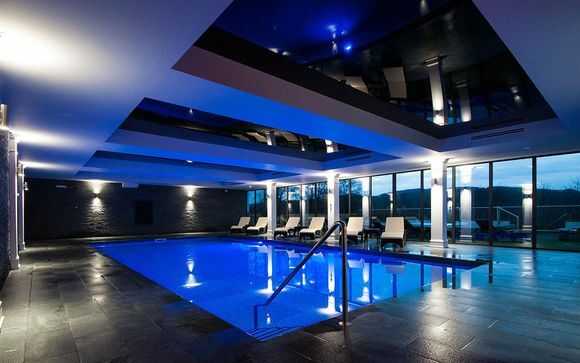 A warm welcome to the Beech Hill Hotel & Spa, where stunning views, superb food and careful consideration for your every comfort combine to define what is Windermere`s most distinctive 4* hotel. 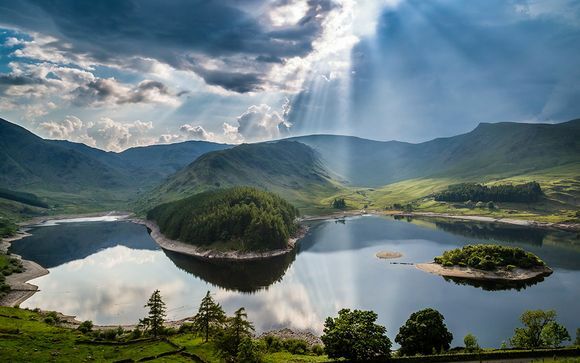 Here, on the shores of one of the Lake District`s most beautiful locations, you`re free to indulge yourself in the welcoming warmth of this homely and comfortable hotel. Relax, take time out, give yourself over to the friendly and helpful team! All of the 57 bedrooms have cosy interiors and provide a comfortable retreat for your Lake District getaway. Tuck into delicious cuisine at Burlington's which is a destination in its own right. The head chef Lukasz specialises in French and English cuisine and uses only the finest, freshest local produce and ingredients. The Lakeview Spa is unique in that whether you are in the indoor pool or the vitality spa pool in the scented garden, you have unrivalled views of Windermere and the snow capped ranges beyond. This offer is based on a Classic Room. Just for you: late check-out 1pm. 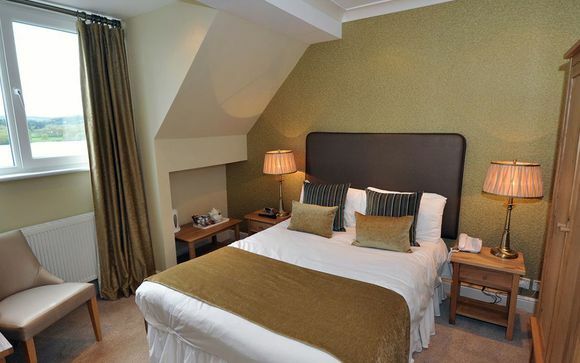 This well appointed, comfortable bedroom provides a cosy sanctuary in which to unwind after a day in Windermere. Your lovely room has all the amenities you should need for a comfortable stay. This offer is based on a bed and breakfast stay. Just for you: 3 course evening meal from theTable d’hote menu on your first night, £15 discount voucher to be used against 3 or 5 courses on the second night, a bottle of sparkling wine in the room for arrival. Named after the local slate, Burlington's is not just a hotel restaurant, it is a destination in its own right. Head chef Lukasz specialises in French and English cuisine and uses only the finest, freshest local produce and ingredients. Afternoon Tea is a very relaxed affair whether you sit on the terrace enjoying the stunning views or sit in our cosy lounge in the leather Chesterfields. No matter which Afternoon Tea you choose, Champagne or not, you will be delighted with your choice. If a Long Island Iced Tea floats your Staten Island Ferry then get down to the 241 Cocktail Hour! The Lakeview Spa is unique in that whether you are in the indoor pool or the vitality spa pool in the scented garden, you have unrivalled views of Windermere and the snow capped ranges beyond. The design includes two spa treatment rooms, a Himalayan Sauna, an aromatic Steam Room, an outside vitality spa pool in our scented garden and a 40ft indoor pool. Leave the M6 motorway at junction 36 and take the A591 to Windermere. Turn left on to the A592 towards Newby Bridge. The hotel is four miles from Bowness-on-Windermere. Oxenholme station is on the main Glasgow to Euston line. From here connections can be made to Windermere station. Which is then 15 minutes by taxi to the Hotel.